Play Games: Hopscotch of course, but any game you can play with paper and pencil you can also play big on the sidewalk. How about Hangman, Tic-Tac-Toe, or Dots (the game where you take turns drawing lines between dots to make boxes)? You could also draw a target and toss stones to score points. 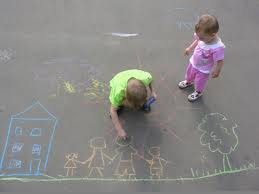 Take It with You: Sidewalk chalk is instant entertainment whenever you are somewhere that has the potential for boredom. Want to visit your childless friend? 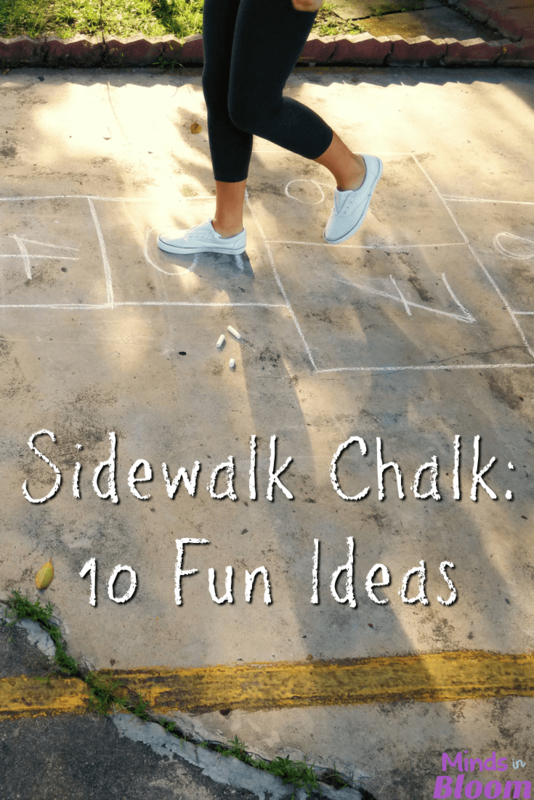 Send your little ones out to the patio with a bucket of sidewalk chalk. Going car camping? Bring a bucket of chalk along, and your kids can decorate your site. Waiting for a parade to start? Break out the sidewalk chalk and let your kids (and the ones sitting around you) add some art to the street before the parade begins. Do Some Math: Keep your kids’ skills fresh by writing math problems for them to solve really big in sidewalk chalk. Another idea is to draw a giant number line and have kids stand on their answers as you call out the problem. 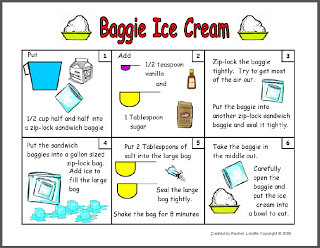 Much more fun than doing a workbook page. You could also practice spelling or forming letters this way. Make a Sundial: Stick a pencil in some play dough and choose a place in the sun to put it with the pencil sticking straight up. Then, use chalk to trace the shadow once every hour and label the line with the time. Do this all day, and you’ve made a sundial! Surprise Someone: On a warm summer night, pay a secret visit to a friend or a relative. Bring your bucket of chalk along, and decorate their driveway. You could draw giant flowers, write them a nice note, or leave an encouraging quote with a picture. If you don’t sign your name, then your friend will have a fun mystery to solve! Make a Treasure Hunt: Use arrows and hints to create a giant treasure hunt. You could use a school playground or your whole neighborhood. Make a Self-Portrait: Trace your child’s body and let him or her fill in the details. Make a Road: Use sidewalk chalk to make roads for toy cars and trucks. You could even use boxes to add buildings and populate it with toy people and animals. Make Some: Sidewalk chalk is easy to make. Just mix up some plaster of Paris and add powered tempera paint or food coloring to color it. The easiest thing is to use paper cups as molds, but you could also use any fun shape you can get a hold of. Homemade chalk makes a fun gift, too! Got more ideas? Please share with a comment. # 5 is my favorite!